AGIA Partner and Senior Consultant Bret Brummitt recognized for his expertise with employee benefit strategies, insurance education, and human resource support. FORT WORTH, TEXAS, UNITED STATES, August 20, 2018 /EINPresswire.com/ — AG Insurance Agencies is proud to announce that Partner and Senior Consultant Bret Brummitt has been awarded the prestigious CEO Today Magazine Healthcare Award 2018. “Bret has been excellent to work with. His knowledge and expertise provide remarkable confidence in making the right decisions regarding benefits for our employees. Our company has grown since we started working with Bret and he has anticipated our needs and provided the best resources and options for our company at every stage. 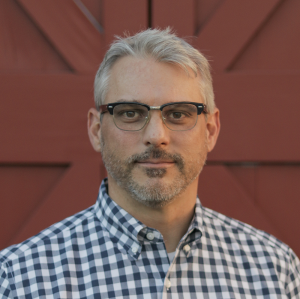 One of the best decisions I’ve made was to work with Bret!” shared Brad Cecil, Founder and President of Brad Cecil & Associates and one of Bret’s many happy clients. Based in England, CEO Today Magazine is an international publication dedicated to providing CEOs and C-level executives with the latest corporate developments, business news and technological innovations. According to CEO Today Magazine, their team identifies and honors the most respected executives who lead the way on a global stage. Their annual awards continue to reward and celebrate the leadership and strategic vision of executives across a number of sectors, such as healthcare, to identify the most successful, innovative and forward-thinking executives in business today. 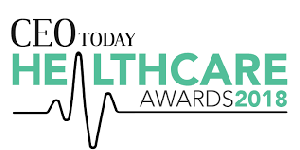 Healthcare Award nominations were open worldwide to the entire readership of CEO Today and all C-level executives, business owners, consultants, entrepreneurs and those operating within the healthcare space. Researchers at CEO Today determined the eventual winners based on the nomination data received and the achievements of individual consultants. Achievements were defined and scored upon the following criteria: involvement in significant performance improvements, expansion into new markets, recognized results achieved for shareholders and patients, innovation in patient care, innovative products and services development, performance improvement of existing services, procedures and pharmaceuticals, new medicines/services, new business model, and strategy.